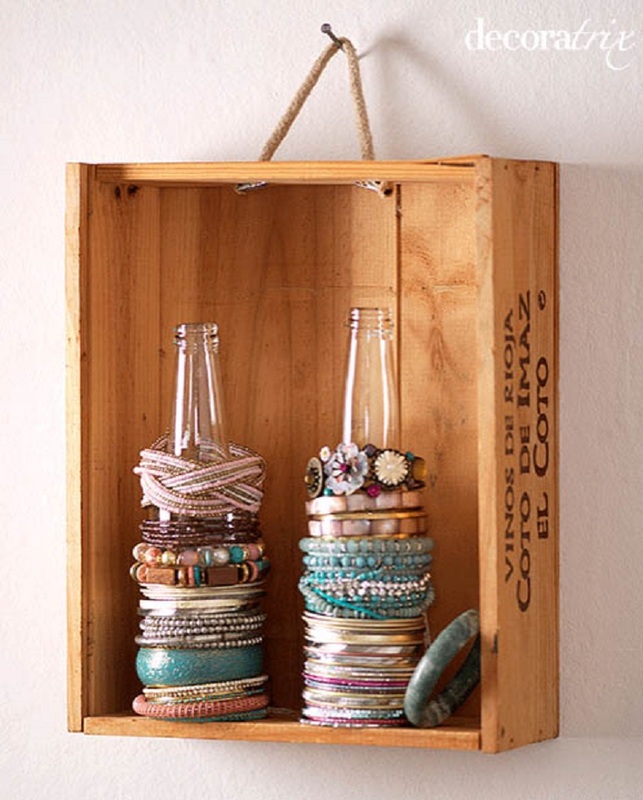 Have you ever heard the saying “one person’s trash is another person’s treasure”? 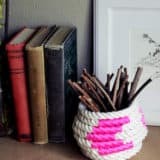 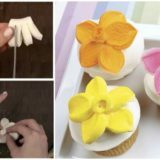 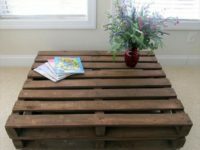 Salvaging things that other people think are junk can be a lot of fun, but it’s especially great when you turn those things into awesome DIY projects! 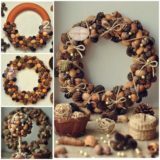 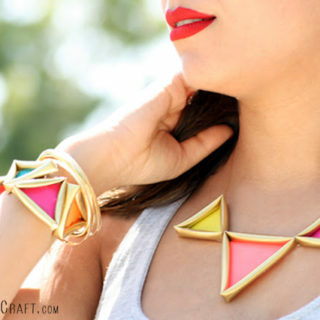 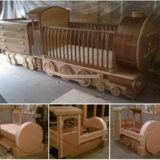 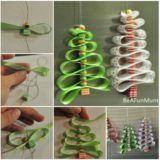 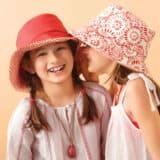 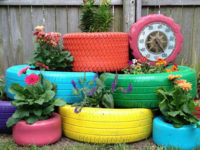 Check out these great crafts made from junk! 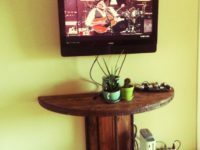 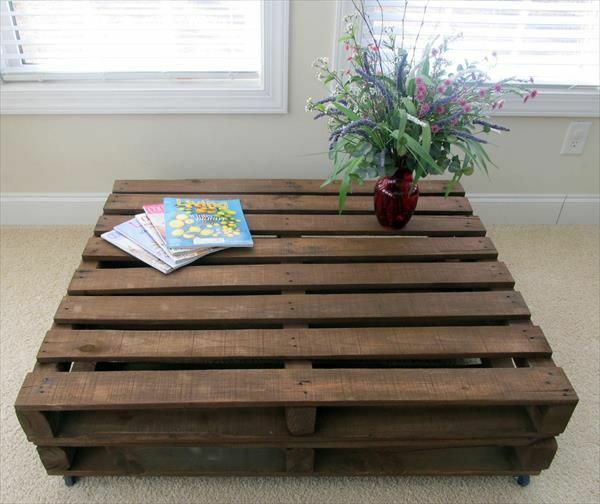 Instead of spending lots of money on a fancy side table or coffee table, try making one out of shipping pallets that you can get for free from stores! 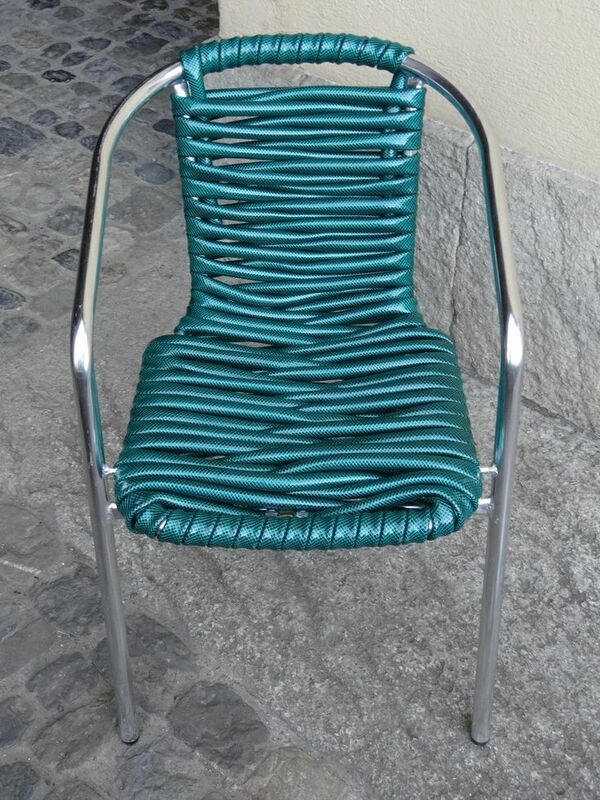 Do you have a metal chair frame but the seat is broken? 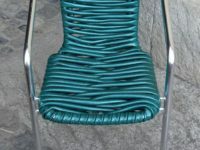 Take the seat and chair back off and replace it with a new one by wrapping a garden hose around the frame and weaving it around itself! 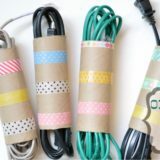 Many different industrial cords and cables come wrapped around large wooden spools that don’t always get used by the companies afterwards. 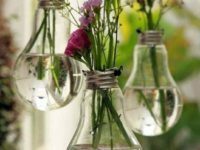 You can use them instead! 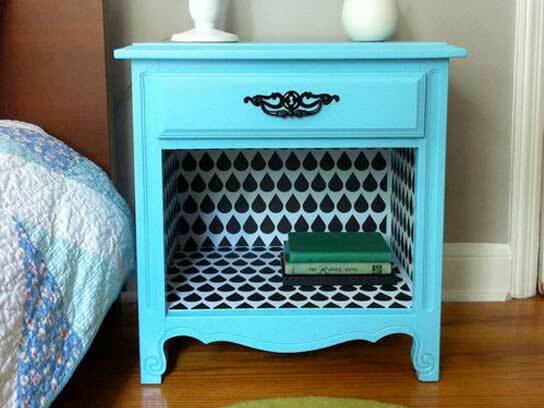 Try cutting one in half like this to make a side table that flushes to the wall. 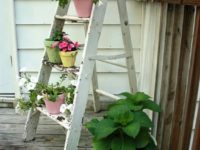 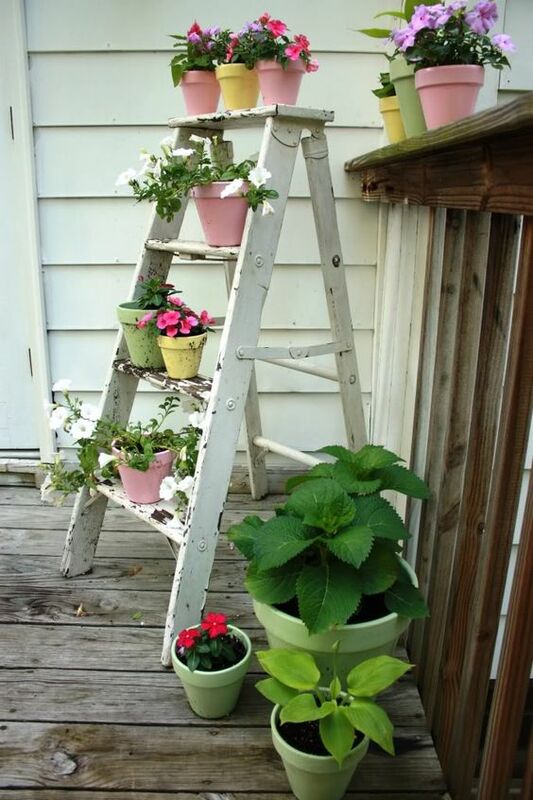 Ladders that aren’t stable enough to hold your weight anymore make great decorative stands for potted plants, especially on your desk or patio. 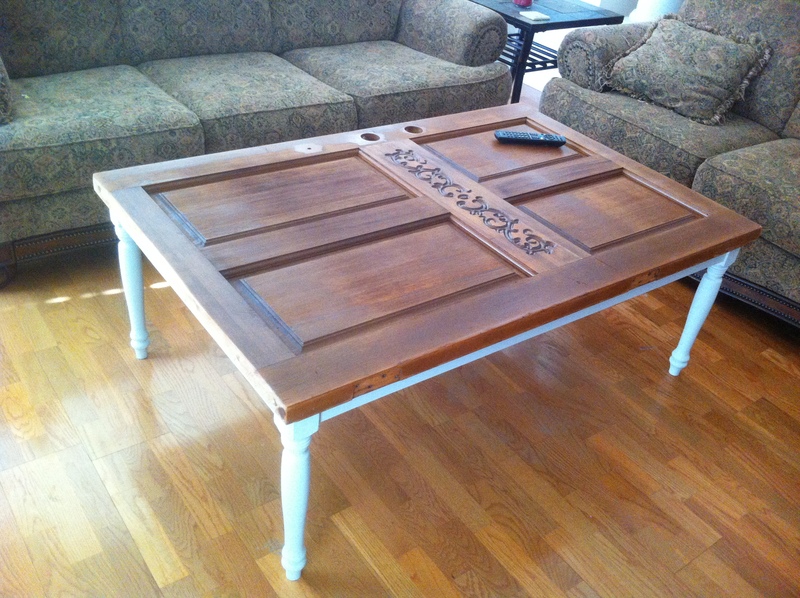 Old wooden doors are versatile DIY tools! 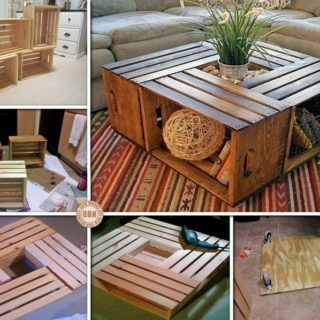 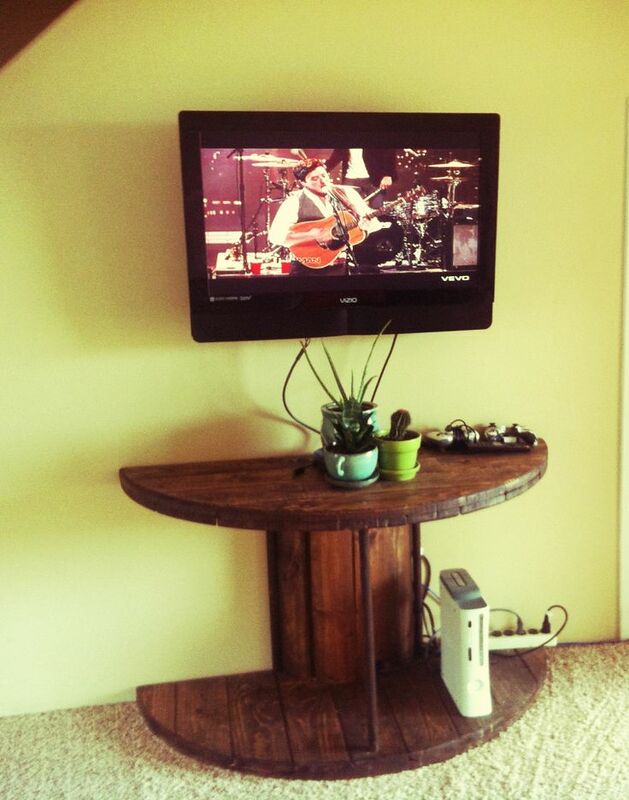 Remove the hinges, sand it down, and affix it to a well-sized coffee table frame. 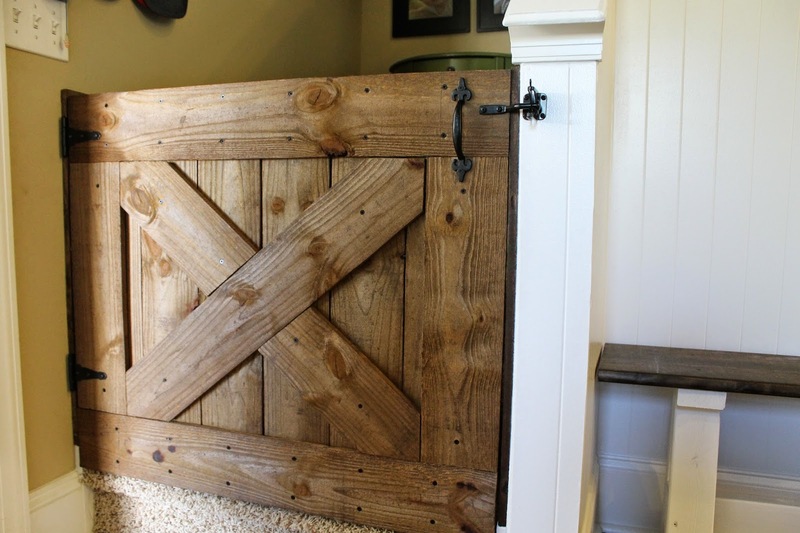 Half barn doors are useful on the farm, but they can also be useful at home! 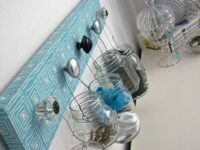 Put one in the kitchen on regular hinges to stop dogs or little kids from getting in while you’re cooking. 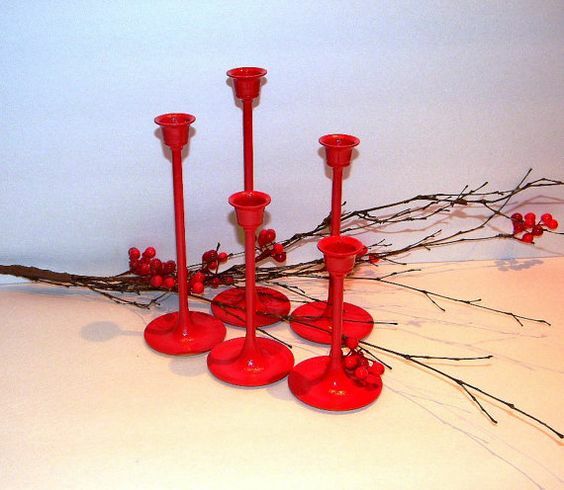 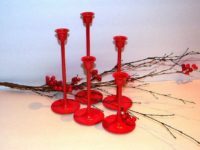 Take mismatched candlesticks and transform them into a cohesive set with a simple coat of paint! 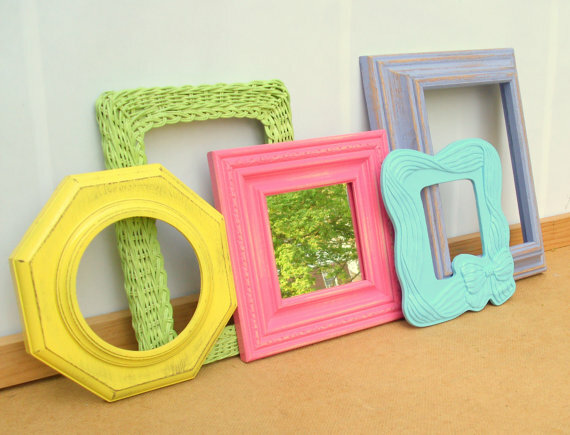 Mismatched picture frames can be turned into fun, bright art with a fun pots of paint. Choose a theme- pastel, mod, or even just different shades of your favourite colour! 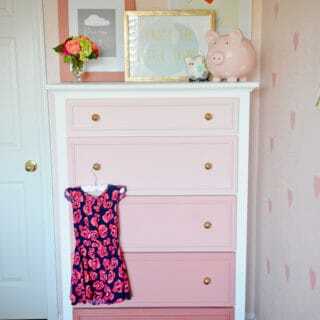 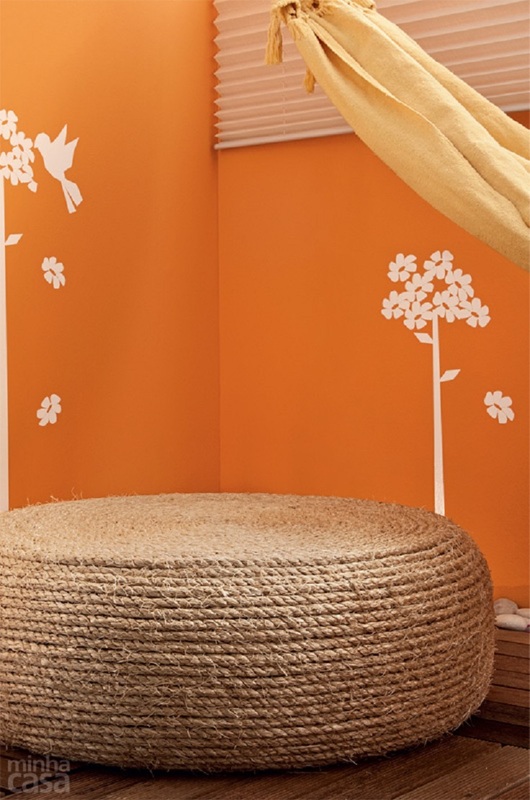 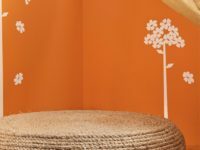 Sand down an old beside table from a yard sale, give it a fresh, bright coat of paint, and use fun patterned wallpaper to jazz up the top surface or the inside cupboard. 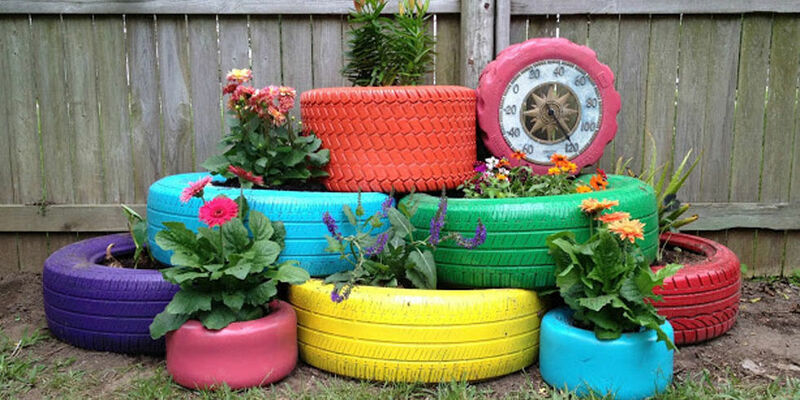 Old tires, bright paint, and some flowers make the perfect summertime back yard decor. 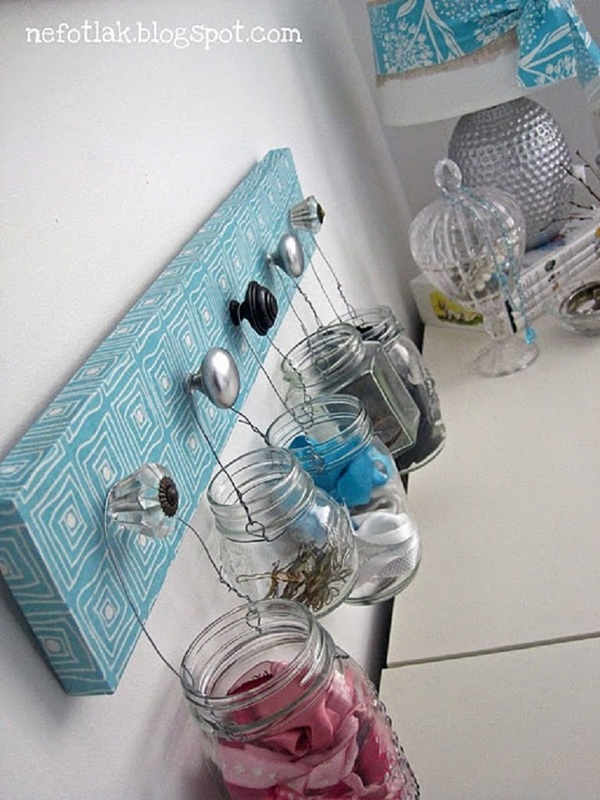 old jam jars and sauce jars make the perfect storage place for little things like hair ties or cotton swabs. 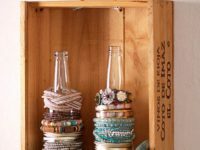 Tall glass pop bottles glued to the inside of a wooden box frame make for great jewelry storage. 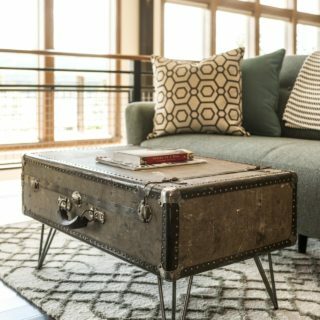 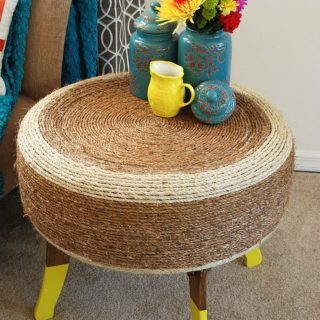 An old tire, some rope, and some patience are all you need for create a stylish, rustic looking ottoman. 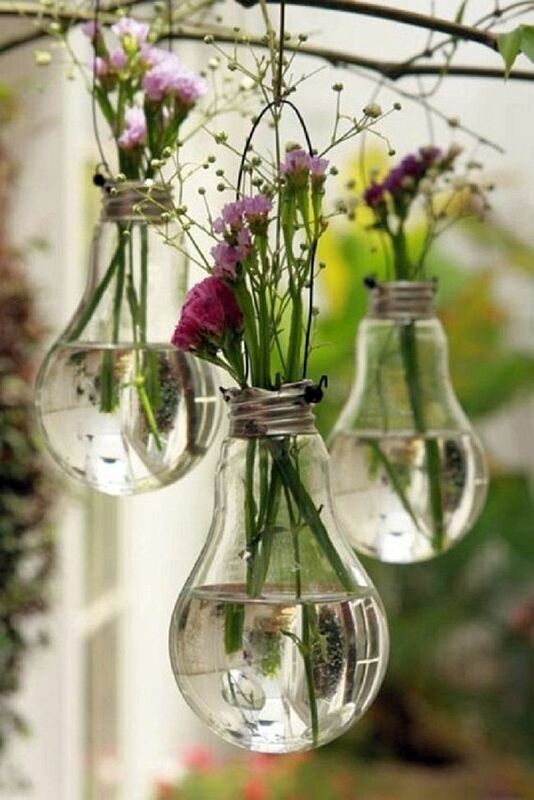 Take the inner fixings out of old light bulbs, flip them upside down, and fill them with water and flowers to hang from the branches in your garden. 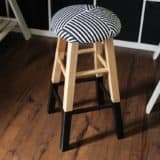 The effect is gorgeous! 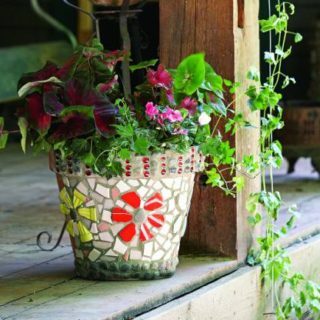 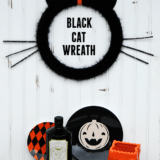 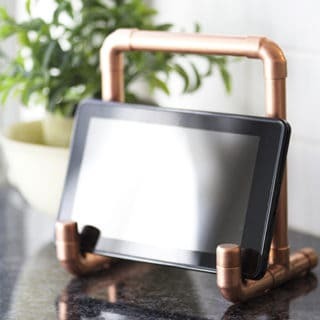 Have you created other salvaged DIY projects that you don’t see here? 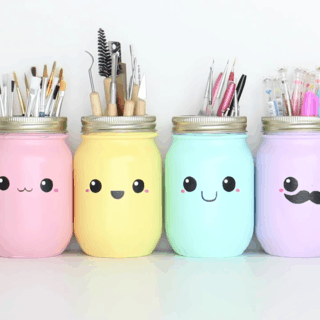 Tell us about them in the comments section!